China’s largest insurance conglomerate by total assets handled, the People’s Insurance Company of China (PICC), has partnered with VeChain, blockchain-based information tracking and governance systems company, with the goal of digitally transforming the insurance industry, according to a press release. While the Chinese government continues to maintain a strict stance on cryptocurrencies, blockchain technology companies offering disruptive solutions in the space continue to align with Beijing’s long-term plans for the superpower. Blockchain use in China has been limited to financial products and administrative tracking. That said, the distributed systems that will be used to transform the traditional paper-based insurance sector represents another first. A state-owned company, PICC provides insurance from casualty cases to commercial contracts via its three subsidiaries. The insurance industry relies heavily on manual legacy claim management systems to generate paper-based records of individuals or businesses. However, this practice leads to inefficiencies during data collation, verification and auditing processes, leading to an expensive and time-consuming insurance process for all parties involved. Under the terms of the agreement, VeChain’s enterprise blockchain solution will be adopted by PICC to mitigate insurance fraud, inaccurate underwriting and other illegal practices. The insurance giant believes utilizing blockchain technology will bring forth a “digital transformation” of the broader insurance industry by providing quicker processing times, accurate KYC assessments, mitigating fraud and, overall, improving customer experience. PICC further intends to utilize VeChain’s IoT prowess to provide “instant compensation” for affected parties and increasing annual revenues for the former. The blockchain solution is wholly-developed by Shanghai-based VeChain, in partnership with DNV GL, a Nordic organization that offers technical solutions to a broad range of industries–including food and beverage, energy, oil and gas, and maritime. PICC will not educate clients on blockchain technology. However, it will aim to seamlessly integrate a robust blockchain network into its existing infrastructure. VeChain previously partnered with DNV GL on a variety of projects across industries–the latter owns a small stake in VeChain after a private deal in May 2018–to propel an exclusive focus on creating blockchain-based governance and business ecosystems. 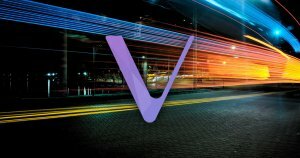 VeChainThor, VeChain’s public blockchain that operates on VET tokens, supports the development of security and government framework, allowing organizations to control assets, information and revenue through a robust distributed system. In terms of a pilot, PICC will initially test VeChain’s solutions for select use-cases before a full-fledged expansion to blockchain systems to ultimately create a “collaborative ecosystem” for clients and even competitors. The post VeChain Partners with Chinese Insurance Firm to Create ‘Collaborative Ecosystem’ Using Thor Blockchain appeared first on CryptoSlate.